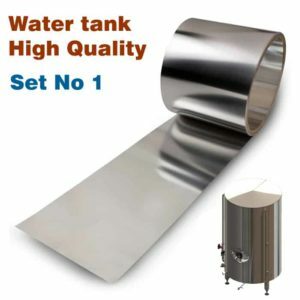 An ice water tank (IWT) is used for the preparation of ice water (with cooling glycol units and a plate heat exchanger DE2 ) and its preservation until the entire contents of the container is used for cooling the wort to fermentation temperature (using a plate heat exchanger DE1) . 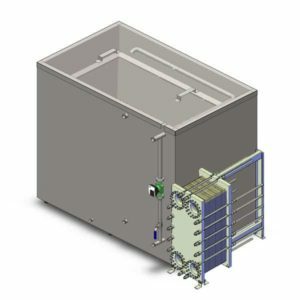 By the passage of ice water through the plate heat exchanger DE1 the heat from the hot wort is withdrawn, then the ice water becomes hot water which is then stored in the hot water tank. 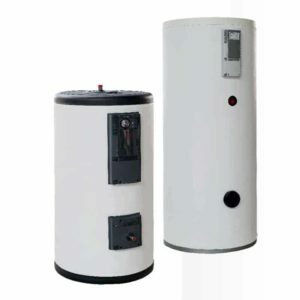 The ice water tank is an insulated cylindrical vessel equipped with an external level position indicator, a thermometer and a pump of ice water. 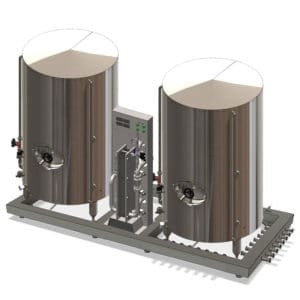 The simple types of breweries (Lite and optionally other) are equipped with two-stage plate exchanger for cooling the wort, the IWT is not used. Note: Brewhouses LiteME are not equipped with the ice water tank. 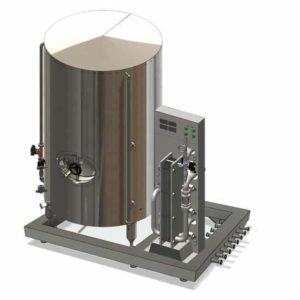 ( the wort cooling is provided by 2-stage plate exchanger with the cold tap water and subsequently cooled by glycol). 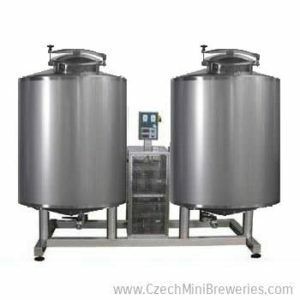 There is also second system using the cooled water in breweries – the tank cooling system. 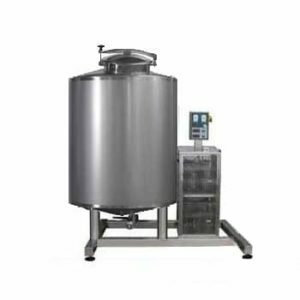 This cooling system uses water for cooling of fermentation tanks, maturation tanks, bright beer tanks and draft beer tanks with duplicators. 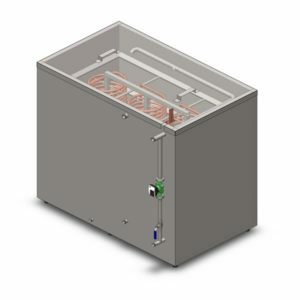 Usualy is glycol added to the cooling water to decreasing of water temperature under 0°C . 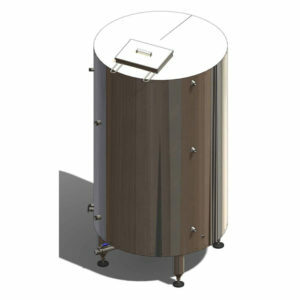 Therefore the tanks for storage of water with glycol is named “Glycol storage tank”. We name these containers “ICWT – Ice Cooling Water Tanks“.